In these days where the Internet has made the world a much smaller place, it is often easy to fail to notice some great music right on your doorstep. 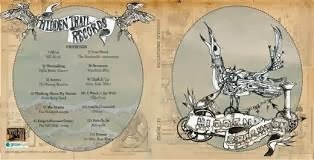 With this in mind it is worth noting the ethos, passion and motivation behind the latest project unveiled by Hidden Trail Records The people behind this fairly new venture have scoured their home town of Brighton and its surrounding areas to identify and champion a number of local artists. 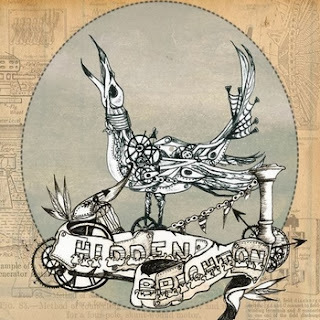 The result is a 13-track compilation titled HIDDEN BRIGHTON which, as the implicit title indicates, aims to reveal to a wider audience some under the radar acts plying their craft around the town. The album draws on a multitude of styles encompassing beautiful harmonies, melodic guitar pieces both acoustic and electric, tranquil folk, distinctive vocals and raw indie. The collection is delicately presented to seduce open minded connoisseurs and even if all 13 sounds are not to your taste, the probability of connection with a significant number is high. With the profits of this laudable project going to a local Sussex charity Grace Eyre supporting greater independence for people with learning disabilities, the best approach is to buy the package and then settle for honing in on your preferences. There has been a growing connection between this blog and Brighton during 2013 including album reviews of Emily Baker and Jamie Freeman, festival musings about Hatful of Rain and a visit to Palmfest in June. That early summer trip took in a Self Help Group gig and the very same combo has donated an alternate demo version of ‘Kings’ to the record. All other artists are unsurprisingly new to me and no doubt to any other out of town listeners. Three tracks that immediately caught the ear were ‘Arrows’ by The Raving Beauties, ‘A Word to the Wise’ by Ellie Ford and Kokopelli’s ‘How to Be’. The former has some cool harmonies wrapping themselves around an infectious guitar sound, while the latter possesses a distinct aching vocal style which oozes roots authenticity. The quiet mellow folk tones of Ellie have that soothing influence which burrows deep into your soul and suitably curls up to implant its tranquillity. The 5 track EP SHOW NIGHT IN is a worthy extension into the world of Ellie Ford. Perhaps the true legacy of this record for people outside Brighton is take a little more interest in your own local scene as you are likely to find some gems much nearer to home than always seeking offerings in distant lands. In the meantime, give HIDDEN BRIGHTON a chance and as well as backing a good cause, the revealing of an undiscovered talent which enriches your music appreciation is more than likely to occur.